Starting today, Maurices is offering 75% off Markdowns! Make sure to shop the Sale Section! For example I just snagged (pictured) Knit Pullover with Cowl Neck for ONLY $5.50 (Retail $21.99). Hurry over HERE and browse around for your favorites! Amazon is once again offering a FREE $1 Credit for eBooks, Digital Videos, and more when you choose No-Rush Shipping at checkout. I was so happy to see all of these Children's Books priced at up to 50% off! Great time to stock up...There are a TON of items included in this offer. 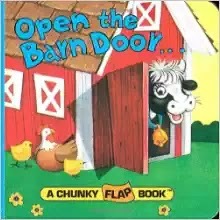 For example, you can get the Open the Barn Door (A Chunky Book(R)) for only $2.05 AND get the free credit – that is like paying only $1.05 for the book! **NOTE: I bought several of these books. Because I have Amazon prime, shipping was FREE on each. I did a separate order for each to give me multiple $1 credits in my account! This is how I add music and videos to my Amazon Prime account - always happy to get FREE or close to FREE music/videos! Right now Shutterfly is offering 101 Free Prints with code NEWYEAR101 at checkout! 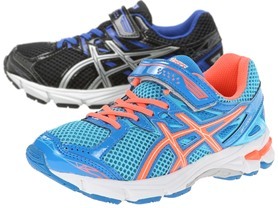 Today ONLY - get a pair of Kids Asics GT 1000 3 PS Running Shoes for $29.99 (Retail $55). High-performance comfort and style comes easily with the ASICS GT-1000 3 PS athletic shoe. Supportive and sleekly styled, this kids' sneaker has a sleek, breathable mesh and synthetic upper along with a host of performance features to keep them smiling on the playground and beyond. The lace entry and instep strap with hook-and-loop closure ensure a snug, secure fit. Constructed with generous GEL cushioning, this trainer lends amble support to growing feet. The padded tongue and collar cushion around the ankle. This running sneaker has a blown rubber outsole for added durability without significantly increasing weight. 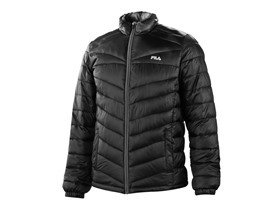 Right now you can get Fila Men's Chevron Packable Jackets for $29.99 (Retail $120). Hurry over and check out these Personalized Easter Baskets for $13.99 (Retail $26.99). We have the perfect Easter Basket selection for you! Both contemporary and fashionable, our baskets are a must have for every child on Easter morning. 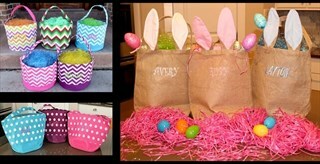 Microfiber Chevron Basket, Microfiber Polka Dot Basket, AND our NEW Burlap Bunny Ears Basket. Each basket collapses for easy storage. Shipping: $4.99 for the first item and $3.69 for each additional item. US only. Estimated to ship by 01/19/2016. 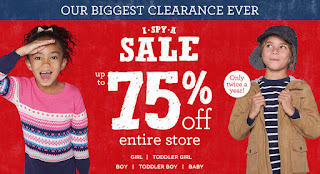 Gymboree is offering up to 75% off the entire site, plus an extra 20% off with code EXTRA20 at checkout. 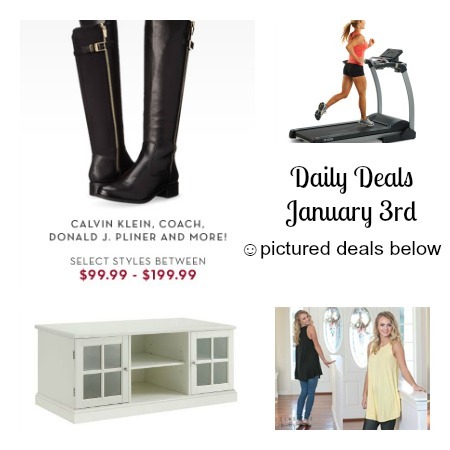 What a great way to snag some really sweet deals for next to nothing! 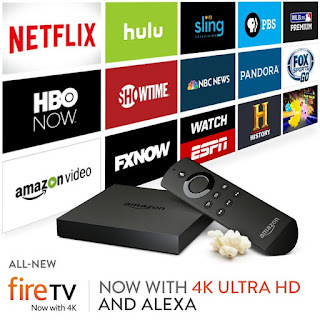 Right now you can get the New Amazon Fire TV with 4K Ultra HD and Alexa for $84.99 (Retail $99.99). This is one thing I got my hubby for Christmas. We do have Smart TVs in our main rooms, but like to go to our room and watch things...so now we can. My kids are loving it too bc they've discovered the Free Games they can play with Amazon Prime. •All-new Amazon Fire TV now supports 4K Ultra HD for true-to-life picture quality. Watch high-definition 1080p streams on Amazon Video, Netflix, Hulu and more, even without a 4K TV. •Cutting the cord? Watch the best of live TV on NBC News, NBA, and Sling TV, which includes ESPN, CNN, HGTV, AMC, A&amp;E, Cartoon Network, and more.